Under the Domestic Building Contract Act, before the builder can demand or receive the practical completion payment under the contract, they must ensure that: all of the contracted work has been completed in accordance with all relevant laws, legal requirements, plans and associated specifications. All minor defects and minor omissions identified or otherwise should be recorded on an appropriate, signed defects document, and the dwelling should be reasonably suitable for habitation. The contractor must provide the owner with certificates of inspections and warranties, including the final certificate issued by the Building Certifier. Be signed by the home owner and the contractor (or only signed by the contractor where the contractor has made all reasonable efforts to have owner sign). The contractor is required to correct non-structural defects within 12 months after completion of the dwelling. Non-structural defects or omissions discovered within the 12 month period can be referred to the contractor in writing for attention within a reasonable time frame. It is imperative that all communication is in writing as far as practicable, is signed and dated, and copies of all correspondence retained for record. When contractors fail to address and rectify defects to a satisfactory outcome you may be able to access the Queensland Buildign Construction Commission (QBBC) complaints process and further assistance. Note: Structural defects should not even get to handover/practical completion stage as these should be addressed before that time. Practical Completion / Handover stage is reached when the building under construction is basically ready for handover, including: Full electrical fit-out, full plumbing fit-out, all tiling fully completed, shower screen fitted, final fitting and fixtures installed (towel rails, TP holders, doors stoppers, catches, etc), ceiling insulation, internal paint work, appliances and white goods, pergola’s, fences, external concrete or pavements, rain water tank, finishing of retaining wall/s, landscaping, site drainage, letter box, external paintwork, carpets, blinds, all items connected and operational, all within the confines of the contract agreement. Only after these stages have been reached is the building ready for a handover inspection or practical completion inspection. For an obligation free quote on practical completion / handover stage inspections, simply click on Request a Quote. A typical Footing Inspection requires the inspector to inspect footing preparation prior to pouring of concrete. Footings are the lower structural building element which rest directly on the foundation material and once poured are basically inaccessible. It is imperative that footing preparations are carried are diligently and fully compliant with engineers plans and specification. Serious errors in footings can cause a disastrous outcome, which sometimes may not come to light until years later. For peace of mind, a Footing Inspection prior to pouring concrete is strongly recommended. At “Building Inspection Services Queensland” a typical Footing Inspection will tell you about deficiencies, defects, and items of non-compliance, including issues relating to: excavation, footing dimensions, steel reinforcement dimension and placement, reinforcement supports, clearances at footing penetrations by service pipes. All reinforcement, when necessary, should also be secured and tied at lap and/or splice joints. Note: Concreting contractors should place concrete carefully as not to displace reinforcement or cause concrete segregation. All concrete should be of specified mix, consistency, and compacted when poured, in accordance with engineer’s recommendations. For an obligation free quote on footing inspections, simply click on Request a Quote. A typical Floor Slab Inspection requires the inspector to inspect floor slab preparation prior to pouring of concrete. Floor slabs also are part of the lower structural building elements which often gain support from footings and foundation materials and are often integrated with footings. It is imperative that floor slab preparations are carried are diligently and fully compliant with engineers plans and specification. Serious errors in floor slabs can cause a disastrous outcome, which sometimes may not come to light until years later. For peace of mind, a Slab Inspection prior to pouring concrete is strongly recommended. At “Building Inspection Services Queensland” a typical Slab Inspection will tell you about deficiencies, defects, and issues of non-compliance, including: moisture membranes, steel reinforcement dimension and placement, support, clearances of slab penetrations by service pipes and termite protection barrier provisions. Where required, all reinforcement should also be secured and tied at lap and/or splice joints. Note: Concreting contractors should place concrete carefully as not to displace reinforcement or cause concrete segregation. All concrete should be of specified mix, consistency, and compacted when poured, in accordance with engineer’s recommendations. For an obligation free quote on slab inspections, simply click on Request a Quote. A typical Frame Inspection requires the inspector to inspect the structural frame work of the building for standard of workmanship, and compliance. For peace of mind, a Frame Inspections is strongly recommended and imperative for ensuring that the building frame structure is sound and meets design requirements. 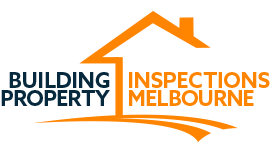 At “Building Inspection Services Queensland” a typical inspection will tell you about deficiencies, defects, and issues relating to non-conformances. Inspections focus is on structural material compliance, stress grades, wind braces, lintel and lintel supports, point loads, horizontal wind beams, load transfer connections to roof and/or floor diaphragm, tie-down, ceiling height, framing secure and straight. For an obligation free quote on frame inspections, simply click on Request a Quote. Lock-up inspections are sometimes called for when the project is performing less than satisfactory, and standard of work is questioned. For a well performing builder a lock-up inspection may not be necessary, whereas a poorly performing builder a lock-up inspection may be recommended. A typical lock-up inspection is generally carried out once the builder has completed the following enclosure stages: Fascia boards, roof guttering, roof covering, roof flashings, external wall cladding including brickwork, external windows & doors, plumbing rough-in, wiring. Note: pointing of roof tiles or scribing of metal roof capping and screws may not necessarily be completed. The lock-up inspection should provide the inspector with an opportunity to sight and inspect wall cavities, brick ties, wall flashings, window and external door flashings, prior to internal wall covering. For an obligation free quote on lock-up inspections, simply click on Request a Quote. Fixing stage inspections are sometimes called for when the project is performing less than satisfactory, and standard of work is questioned. For a well performing builder a fixing stage inspection may not be necessary, whereas a poorly performing builder a fixing stage inspection may be recommended. A typical fixing stage inspection is generally carried out once the builder has reached pre-painting stage, which includes: wet area seal, internal linings, cornices, jambs, architraves, skirtings, doors, locks, tiling, built-in cupboards, shelving, cabinets, basins, vanity units, throughs, sink, soffit linings, plumbing ready for final fitting, drainage connections, electrical ready for final fittings, external wall finishes. Note: Provided the building is lockable the garage door/s does not necessarily have to be installed at this stage. The fixing stage inspection should provide the inspector with an opportunity to sight and assess finishes prior to application of paint. For an obligation free quote on fixing stage inspections, simply click on Request a Quote. There are various ways and option in which House and Land Packages can be presented or made available to prospective buyers. House and land may be offered as a total package, or you may be given the option to purchase the land and have the house built by a builder of your choice. Some house and land packages may be offered with a predetermined house design and built by a pre-assigned builder as a total package. Buying of a plan usually refers to units, apartments or townhouses. Buyers should research the various options available to them and determine the benefits and potential disadvantages, including financials (costs), time frames, final costs, design, land suitability, layout and functionality. It is also advisable to seek professional legal, and if necessary, financial advice before proceeding with the signing of any contract to ensure that you are fully aware of what you are committing to. When you purchase a block of land and contract with a builder to build on that land, stamp duty is generally only paid on the land component and not the building, as opposed to a house and land package offered as a total deal where you would generally pay State Government Stamp Duty on the sale price of the whole package, which is calculated over the total sale price, inclusive of GST. On the other hand, an already completed house and land package does offer the benefit of it being readily available without having to wait for the project to be completed, and knowing that what you see is what you get.